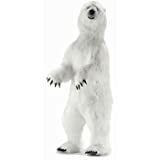 This holiday season, coming straight down from the North Pole to croon some classic Christmas tunes to you and your family is none other than this cool new Massive Animatronic Singing Polar Bear Statue from Hansa Toys. 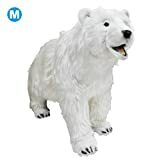 Standing upon a a faux iceberg, this giant friendly polar bear can sing up to 16 holiday favorites all while moving its mouth to the lyrics its arms to the beat. 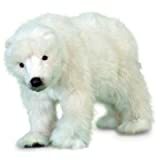 Check out the video to see this festive Arctic singer in action.